Our innovative program in Information Technology, combined with state-of-the-art classrooms and curriculum, prepare our graduates for exciting careers in a wide variety of computer-based professions. Our Digital Forensics program allows students to gain real world experience extracting data from digital media devices such as computers, smart phones, and tablets. The digital forensics lab provides students the opportunity for hands-on learning which allows students to test their abilities in realistic investigative scenarios. Students prepare case files for criminal incidents involving computers and learn proper documentation methods regarding extracted data case files. You will be introduced to Digital Forensics hardware, including write-blocking devices and workstations in addition to other tools that are found in many digital forensic laboratories. Software programs you’ll become familiar with are Guidance Software’s EnCase, The SIFT Workstation, and Access Data’s FTK Imager. 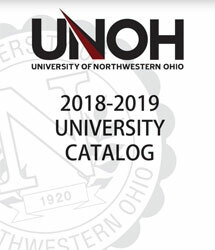 *Percentages are based on surveys of our 2013-2015 academic year Digital Forensics, Digital Multimedia Design, Network Security, and System Administration associate degree graduates who reported they are employed or are continuing their education within 6 months of graduation from the University of Northwestern Ohio. There was a 69% response rate to this survey. Our Network Security program provides you with all the skills necessary to be a company's first line of defense against computer network threats to their private information. Current software applications and an extensive hands-on approach in the Network Security program will help you build practical experience with Cisco Routers, firewalls, and intrusion detection and prevention devices. We offer courses like computer programming, local and wide area networks, data integrity, counter intelligence, and information security. All courses are taught with the latest advancements in software and hardware. You’ll be using industry software like Wireshark, Colasoft Packet Builder and Snort. We teach you to be ethical certified white hat hackers. If you are a creative person and desire a field with tremendous growth, then the digital multimedia program is for you. You will learn how to integrate all of the creative elements of digital design through the use of the latest technology, software and hardware. In class, you’ll work with high tech toys like professional HD video cameras, a green room, lighting equipment, sound recording booth, and several industry standard editing software programs like HTML 5 and CSS, Adobe Photoshop, Illustrator, Flash, Premiere, and After Effects, and 3D modeling and animation with Blender. You’ll learn how to design corporate logos, identities and web sites, create print ads, produce television commercials, make short films, and more. The skills you learn in this program will help you build your portfolio. 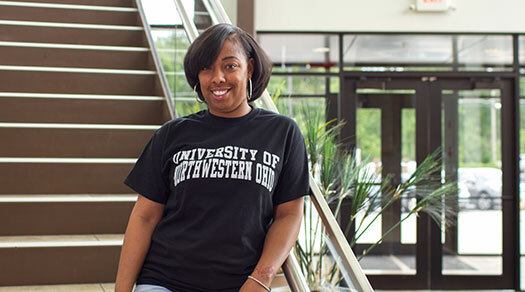 No matter what your career goals are, you’ll be prepared to achieve them with a Digital Multimedia Design degree from the University of Northwestern Ohio. Constant technology upgrades and program flexibility are the key ingredients in a successful Information Technology education. UNOH provides our students with the latest upgrades in software, like Microsoft’s Server, and Windows 7 and 10 Operating Systems. Students will master each of these operating systems by using VM-ware software products.